The Armen Living Marina contemporary patio set is the perfect bar arrangement for any modern outdoor living space. 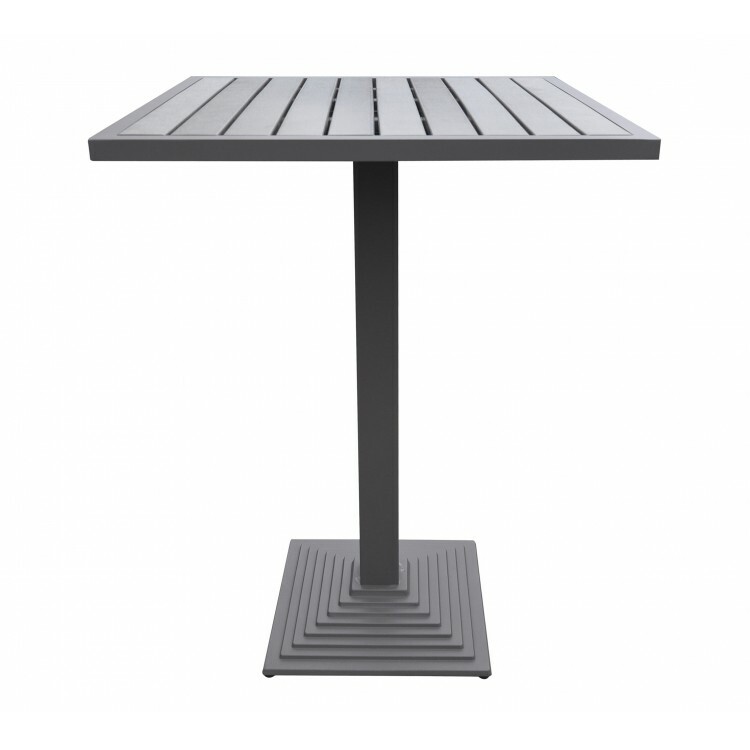 The Marina set features 4 low back barstools and 1 columned bar table. 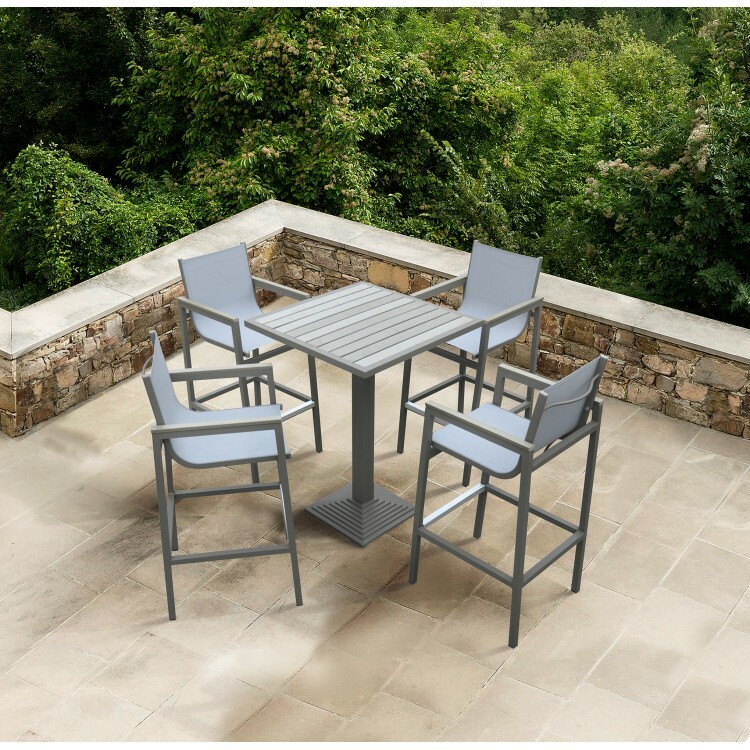 All featured items are made of lightweight, yet durable aluminum, allowing for easy arrangement without compromising on quality. 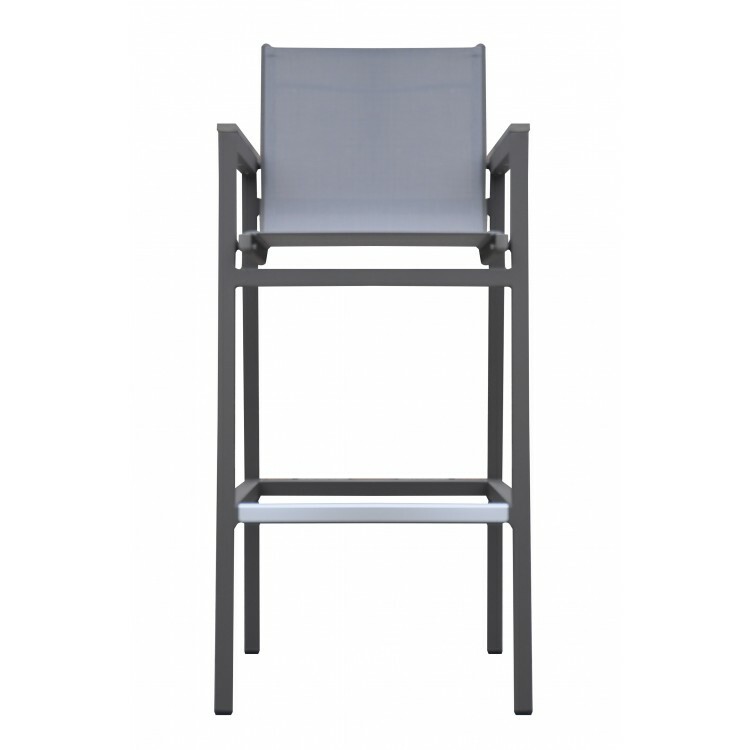 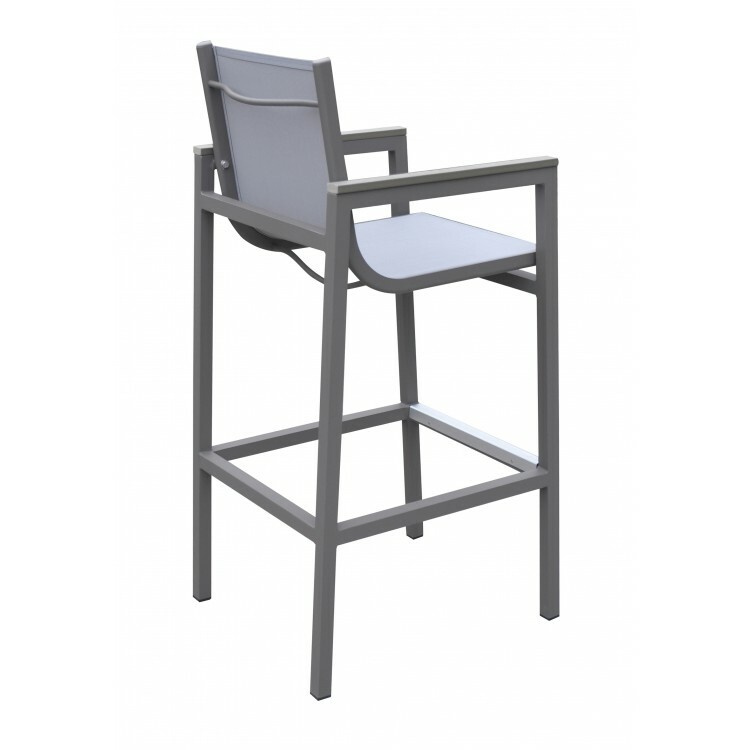 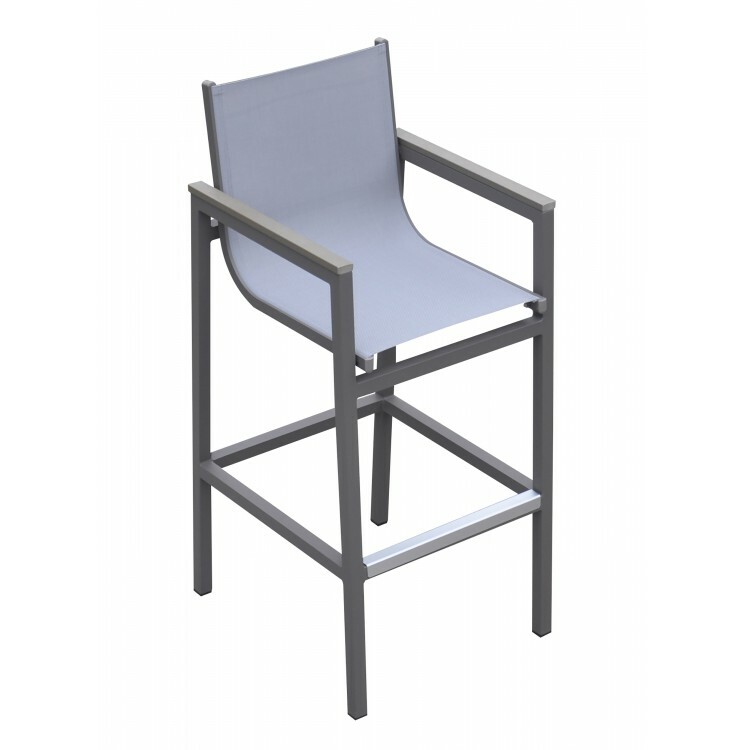 The Marina stools have a waterproof gray sling textilene mesh seat and back, providing comfort while presenting a stylish contemporary aesthetic. 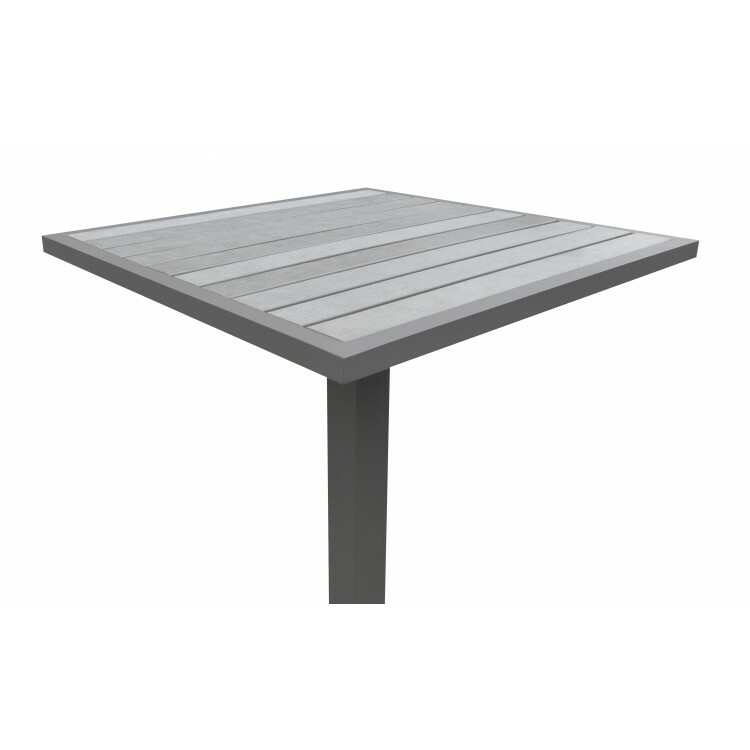 The bar table features a square base and stylish teak wood top, ideal for stacks and drinks. 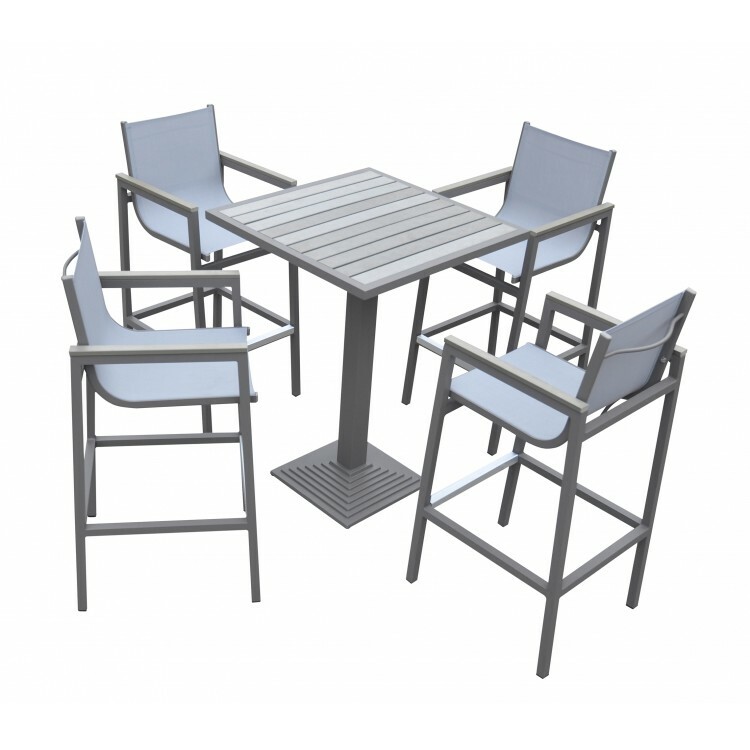 The Marina set is available in a gray powder coated finish and gray upholstery. 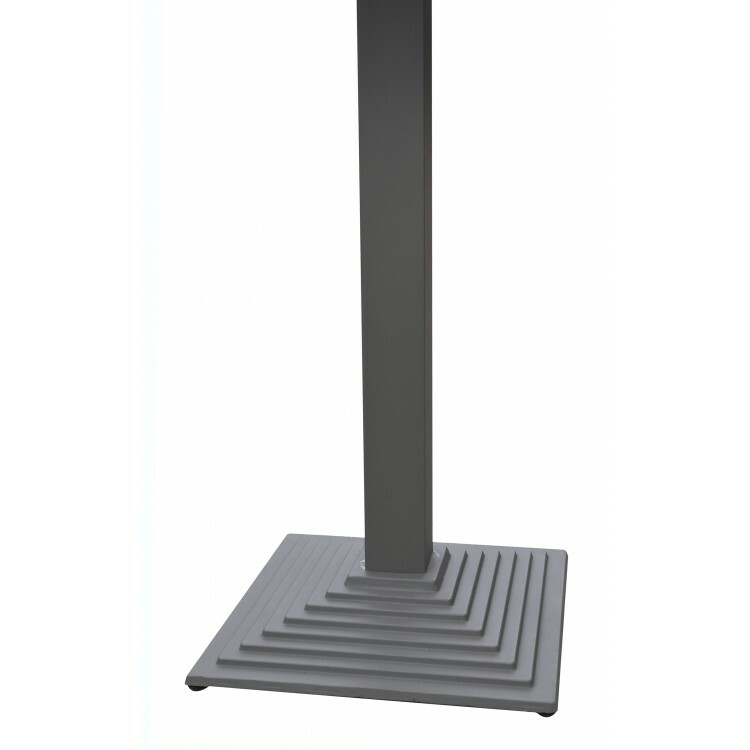 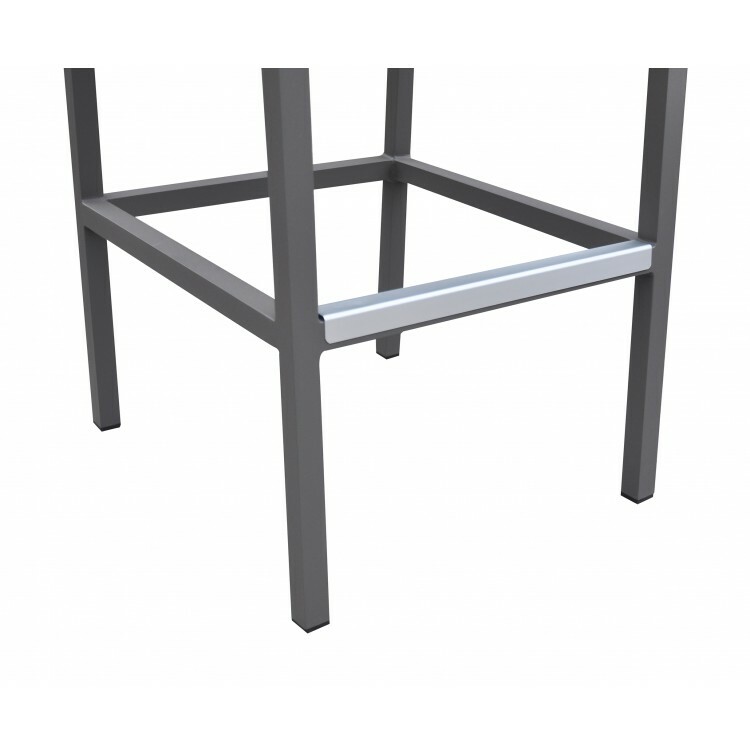 Patio Barstool: 20"W x 23"D x 45"H SH: 31" Patio Bar Table: 30"W x 30"D x 42"H"